The barking question: Are owners liable for treatment of sick pets? AS a pet-owner you may want to scream your head off if confronted with this raw question: Who is liable for the treatment of sick animals and how they are medically treated? 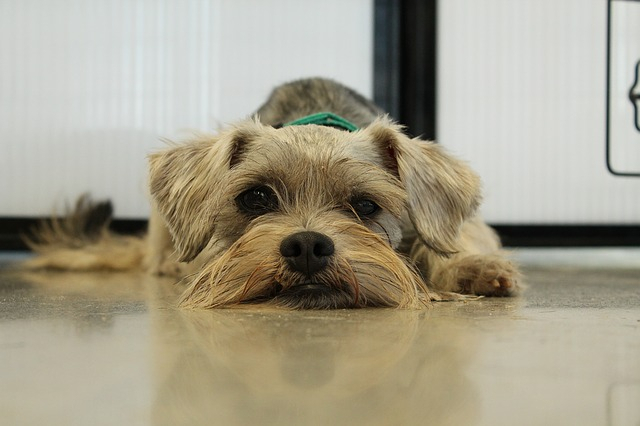 This crying issue comes to the fore after a dog owner was fined $3,500 for “unnecessary pain” to a miniature schnauzer, despite diagnosed with “serious medical conditions”. The pet was reportedly denied treatment or a second vet’s opinion by owner Ng Yeow Chian and subsequently died. Now the contentious talking point to an over-sensitive matter: Whether pet owners have the final say to can decide if, when and how their sick animals should be treated. According to the Agri-Food and Veterinary Authority of Singapore (AVA), 51-year-old Ng warranted enforcement action as he had failed to provide adequate pain relief to the dog, leading to its unnecessary suffering. He did not send his dog back for follow-up treatment by the vet despite it being diagnosed with “serious medical conditions”. The Independent spoke to a dozen pet owners and majority felt that they were not fully aware of absolute legal responsibilities associated with pet ownership. Indeed, failure to understand and meet these responsibilities could leave pet owners open to liability. Society for the Prevention of Cruelty to Animals (SPCA) executive director Dr Jaipal Singh Gill says the authorities were right, in this much-publicised incident, to intervene as pet owners should be fully responsible for the well-being of their pets. He added that responsible pet ownership includes ensuring that one has the financial means to keep and maintain the pet, including paying for medical treatment when necessary. The AVA, in a media release, says it had received feedback about on Ng’s pet on November 2017, months after the first vet visit in September that year. Its investigations showed that the clinic had made several calls to him to return for the scheduled review, which went unheeded. It stated that instead of feeding the dog prescribed painkillers for animals, they gave him aspirin tablets and finally after one month the dog passed away. The miniature schnauzer was found with a lump on its right shoulder, chronic heart disease and accumulation of stones in its bladder and urethra. Founder of Action for Singapore Dogs Ricky Yeo said there were “many unanswered questions” over the enforcement action in AVA’s media release revealing the incident. “What if the dog had died a day or a week after the first vet visit? Would the owner still be viewed as negligent?” Mr Yeo asks. “What was the assessment of the dog that, with treatment, there would be a high probability of recovery? Schoolteacher Juliana Hwang of Opera Estate says that in general, she supported “formal intervention”. But only after carrying out an investigation based on facts and only in cases of gross and extreme mistreatment. “Let us be realistic. If you’re going to step in over every complaint, even when an owner is too busy at work and has to reschedule a vet appointment, then it would be an over-reach, in my opinion,” she says. The AVA further shared with Channel News Asia that the vet who attended to the miniature schnauzer provided it feedback. Its investigation found that on top of the health issues already identified by the vet, the dog had severe bladder stones that would have caused “significant” pain and suffering. Architect Rama Subramaniam from Jurong East feels that if a dog owner decides to let his or her pet “fade into the sunset naturally” because of its failing health, they still need to be “cared for, made clean and comfortable so that they die with dignity”. The final word from the AVA: “Safeguarding animal welfare is a shared social responsibility which requires the cooperation of all stakeholders, including the public. While AVA continues to ensure that the necessary enforcement action is taken and raise awareness of animal welfare, members of the public can play their part by being vigilant.